Dr. Robert Dollinger obtained his master’s degree in computer science from the Technical University of Cluj-Napoca Romania in 1985 and his PhD in artificial intelligence from the same institution in 1996. 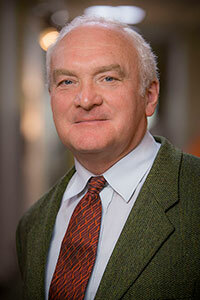 Dr. Dollinger began his work as a researcher at the Medical Informatics Institute in Cluj-Napoca. In 1990, he joined the Technical University of Cluj-Napoca where he served until moving to University of Wisconsin-Stevens Point in 2003. As part of his teaching and research cooperation, Dr. Dollinger has visited several European universities in countries such as France, Germany, Netherlands, Italy, England, and Ireland. Dr. Dollinger has published 69 papers and 5 books. He is an active conference referee, book reviewer, and pro bono consultant.